any day ends up hotter than previous day and colder on some days. So are our mood swings 😛 . But then its human nature. One thing which I can enjoy in all weathers is “Rooh Afza” drink. 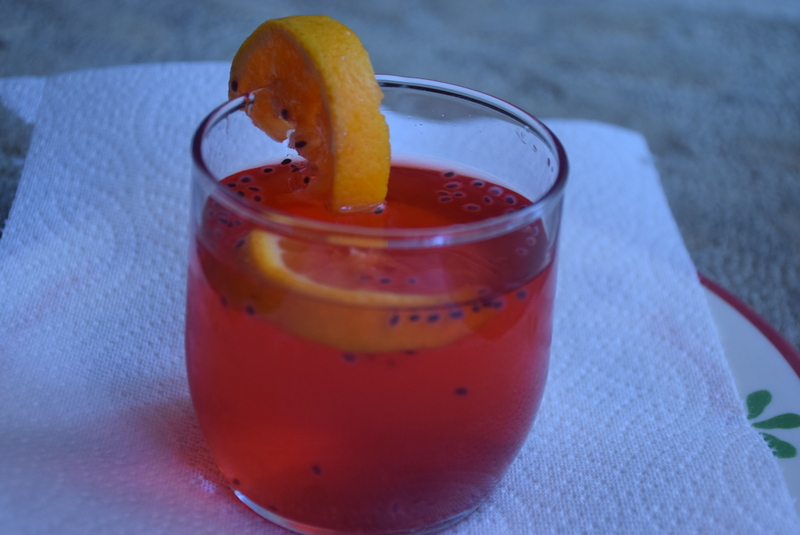 I once tasted this Rooh Afza in “Rajwadi Thali” restaurant and decided to re-create it. 1. 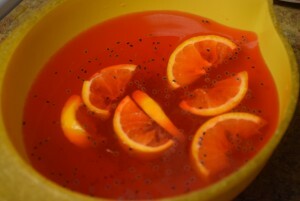 All you have to do is take a pan or bowl and add all the ingredients except the orange slices and mix them well. The basil seeds have to be soaked in water for 30 mins before starting the preparations. You may also use chia seeds in place of these basil seeds. Both have a cooling nature and are good stabilizers for body temperature. 2. Now pour in 2 ice cubes if you like to serve it chilled. 3. Garnish it with orange slices and serve. You can make this drink in advance for your guests the previous day and refrigerate it. Its stays good for 12-16 hrs. Enjoy !! Please feel free to ask or suggest below in comments!! We would be glad to reciprocate! Till then enjoy the last summer days !! 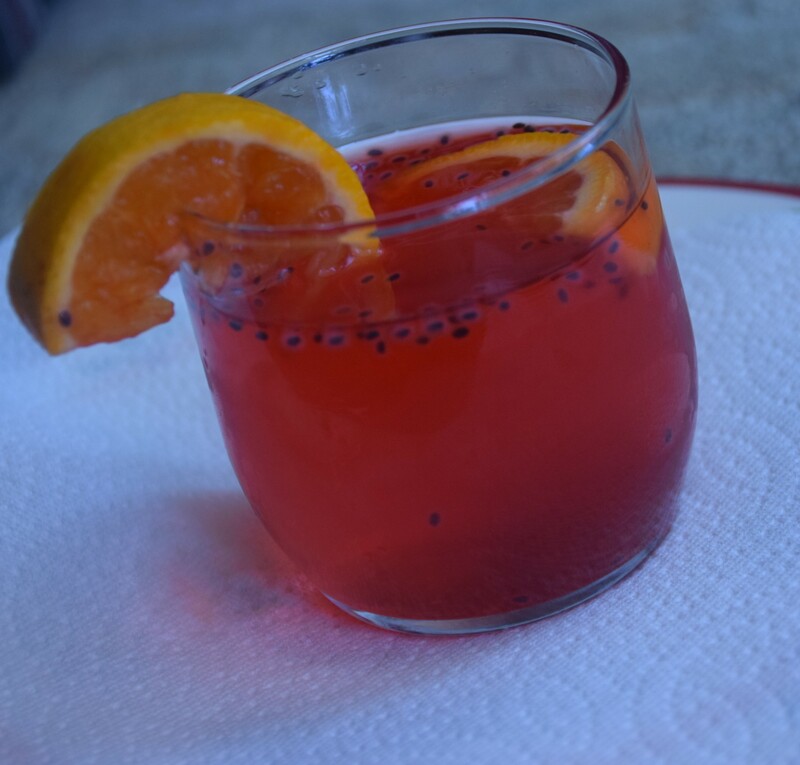 This entry was posted in Drinks, Food, Recipes and tagged 2 mins recipe, all gain, beverage, breezy, cold-drink, cool, drink, easy-peasy, feel, no cooking, no pain, non-alcoholic, summers, sweat-free, without soda.